Aside from their health and environmental benefits, bikes are probably best known for being cost-effective methods of transportation. But that doesn’t mean that all bike owners are looking to cut transportation costs. In fact, a new group is now making an impact on the biking industry – the super rich. E-bikes are battery powered bicycles that have become popular in several European countries. They sell for up to 40,000 euros ($45,000). And they don’t even require users to pedal. So riders can even go up and down hills without really breaking a sweat. Startups in Europe have taken the idea and run with it. A handful of companies, including Leaos, Karbon Kinetics and Trefecta offer the bikes in a variety of shapes and price ranges. Though none are as affordable as traditional bicycles, they’re coming down enough so that some non-millionaires might be able to rationalize the purchase. But without the cost and exercise benefits, e-bikes are unlikely to appeal to the same mass of consumers as regular bikes. While environmentalism is definitely a hot issue, environmental benefits alone are unlikely to be able to convince many consumers to drop $40,000 on a bike. But there is another benefit to e-bikes that make them extra appealing to affluent consumers. Their transportability makes them perfect for yacht owners who want to bring their own transportation along with them when they travel to islands or different countries by water. Because they’re targeting specific customers with specific (large) budgets, e-bike startups also have to get creative with marketing and product placement. They can’t just market to bike owners and sell their products in traditional bike shops. 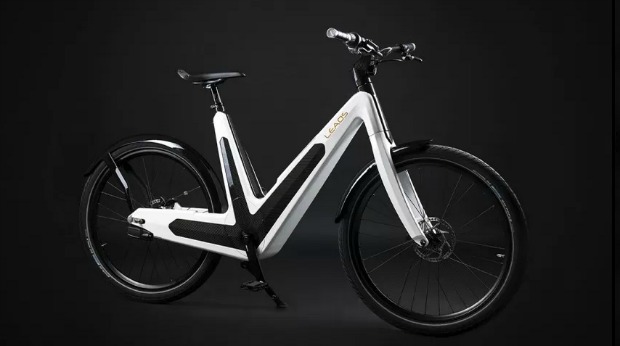 In fact, Armin Oberhollenzer, founder of Leaos, told CNN that most ultra-rich e-bike customers wouldn’t dream of going into traditional bike shops. So the company instead sells its products in design stores and at car shows. Though they have yet to really catch on in the U.S., some of those same European companies have their eye on expansion. So e-bikes could soon become mainstays in cities around the country. Or they very well could turn out to be novelty items that are popular for a few years and then fade into obscurity. But the few benefits they offer to specific consumers at least make them an appealing prospect for those who can afford them.